A favorite silhouette with sporty edge. 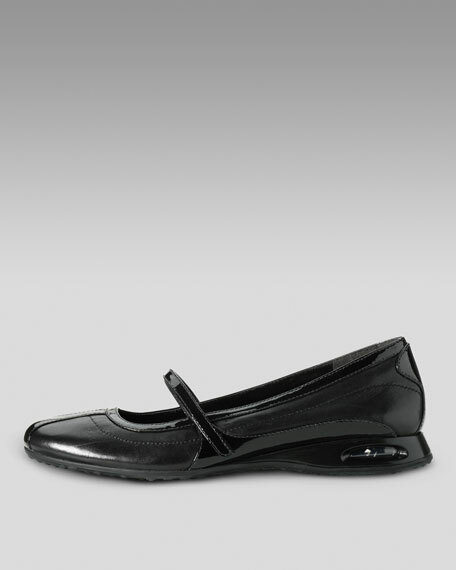 Smooth calfskin and patent leather upper. 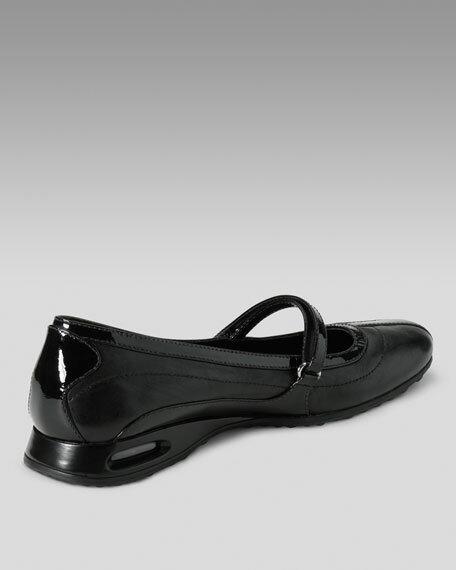 Thin strap with hook-and-loop fastener over instep. 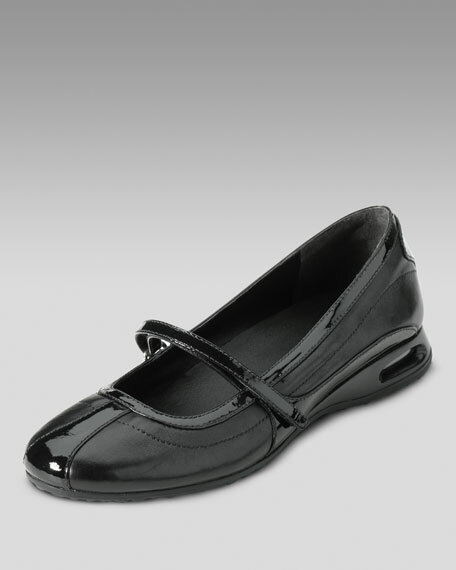 Full leather lining with padded insole. Rubber outsole cushioned with visible Nike Air® technology for ultimate comfort.